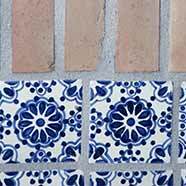 There are many types of grout found in today’s homes and businesses. The type of flooring material usually determines the type of grout used. 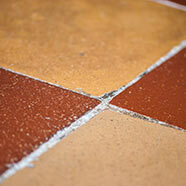 The most common grout used for man-made tiles is sanded grout. Sanded grout contains a mixture of Portland cement and sand. 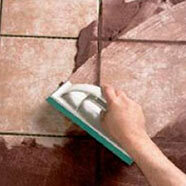 The sand helps to prevent the grout from shrinking as it cures and makes the grout more stable and durable. 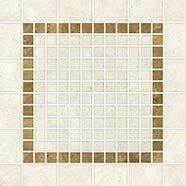 Sanded grout is typically used for grout lines that are 3/16” or wider and should be sealed. Often referred to as wall grout, is commonly used with natural stone flooring. There are two reasons for this. 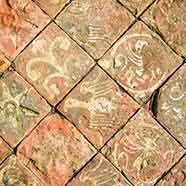 First, as grout wears, particles of sand could scratch and abrade stone surfaces. Second, the unsanded grout is better suited to filling narrow grout lines, usually smaller than 1/8”, found in stone installations. Like sanded grout, unsanded grout should be sealed. Although not common, resists staining, water, and soil. It is typically found in bathrooms and kitchens: areas that are regularly exposed to extreme conditions such as temperature changes, moisture, and staining. 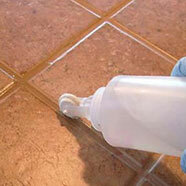 Epoxy grout can be identified by a plastic-like appearance that is frequently rounded on top. Note: Cementitious grout with epoxy added is not the same as epoxy grout. Over time, all grout in tiled floors attracts dirt and grime that builds up and leaves tile and grout lines looking dark and dirty. When daily cleaning procedures fail to remove the built-up dirt, special tile and grout cleaning products and procedures should be used. Jon-Don offers a full selection of tile and grout cleaning chemicals that can power through the grimiest grout lines to reveal the beautiful grout color underneath. These grout cleaning formulas are tough on dirt, soap scum, hard water deposits, and other soiling commonly found on tile and grout. 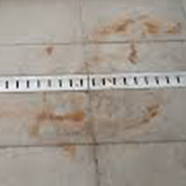 Your initial inspection of a job should include examining the grout. Cracks may be present due to movement of the substrate, installation and mixing issues, or in rare instances the quality of the grout itself. Sections of grout that have broken loose due to these cracks can be blasted out by high-pressure cleaning and vacuuming. Clients should be advised of this possibility.